Lighten up your wardrobe with a little comic relief. 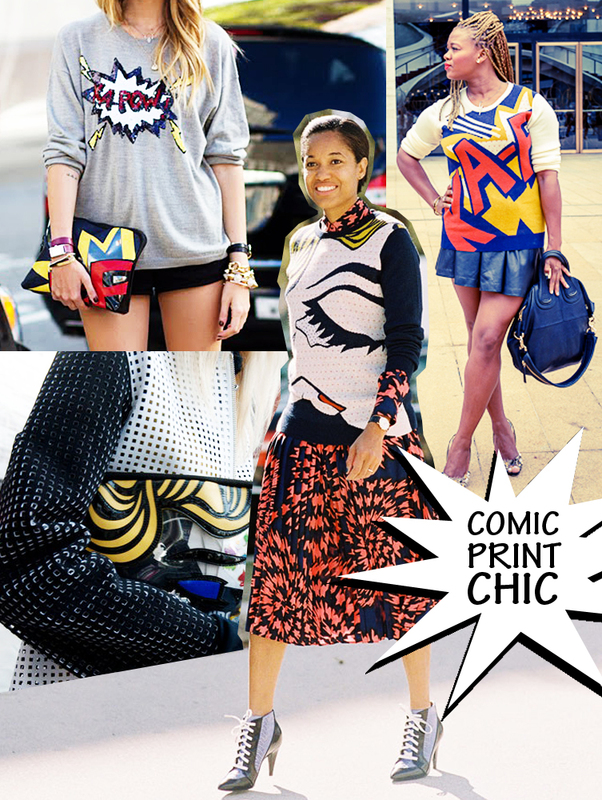 Comic pop art prints are popping up on clothing and accessories. Pair the prints with a combination of sporty and feminine pieces for a modern look. I like how Rainbow stays on top of the trends. Nice job! Putting outfits together to include clothes, shoes and accessories is helpful for those who have trouble putting things together. Keep posting complete outfit pics!